So, you've either already invested in HubSpot's software, or you're considering signing up. Regardless, you're ready to see your marketing deliver the best possible ROI, right? Naturally, we can work with WordPress sites as HubSpot has a robust WordPress integration and indeed there are often good reasons to stay with your WordPress site when bringing on HubSpot. These could be anything from not wanting the added expense and impact on your resources when you've just built your new WordPress site to other budgetary restraints or technical reasons. Let’s explore these obstacles a little further. 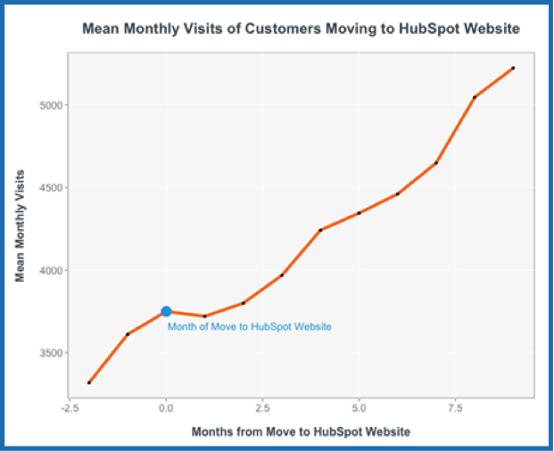 You’re going to be spending a lot of time in HubSpot if you are a marketer. Welcome to your new home from home. Doesn’t it make sense to keep everything all in one place? You decided to go with HubSpot so that you could get maximum functionality from one platform. HubSpot integrates your blog, landing pages, calls-to-action, social media, data, reporting, and your CRM in one tool so why wouldn’t you make use of HubSpot’s easy to use CMS as well? By building your website in HubSpot you get access to key tools for building your content and SEO strategy. Not only that but once you’ve mapped out your content strategy you can make use of HubSpot’s integrated on-page SEO tools to make sure you’ve got the best possible chance of ranking well. All this without the need for extra plugins! If Google can complete your sentences for you and Netflix can tell you exactly what you want to watch, then the least your website can do for your visitors is personalise their experience. This is where HubSpot really comes into its own. Because HubSpot is a CMS and CRM in one and because of HubSpot’s ability to use smart content, it’s possible to build user journey’s that map to your user’s buyer journey and personalise the content along the way based on what you know about them in the CRM. Not only that but by integrating bots and live chat you’re able to build a user experience your prospect won’t forget. Clients sometimes think that the HubSpot CMS sounds expensive as it is a paid for add-on if you have the HubSpot marketing hub already. 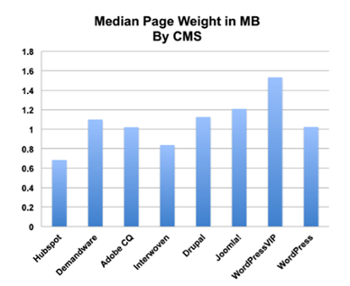 Take a look at what it’s costing you to host your WordPress site. Let’s make sure you’re comparing apples to apples though. From a hosting perspective, HubSpot is hosted in Enterprise class, highly available and highly secure environments. Can the same be said of your WordPress site? This is business critical technology and should be treated as such. How much are you paying for your own server environment or hosting partner? How much do the maintenance and upkeep cost? If you want your WordPress site to perform with the same functionalities as a HubSpot site, you'll need to pay for each function by purchasing an add-on or plugin. Multiple add-ons later, you’ll have the functionality and a similar cost implication equivalent to purchasing HubSpot CMS with all its bells and whistles. But, you’ll be missing out on the convenience HubSpot offers of everything under one roof. For countries in the EU, data protection and storage have become key areas of consideration so GDPR has some bearing on your choice between HubSpot or WordPress, largely in relation to the issue of data storage. Within HubSpot CMS your GDPR activities are seamless and easy to implement. Another question you need to ask yourself is "Who's going to be running my website?" Internal policies regarding who manages your website should definitely be factored in when deciding on a choice of CMS. If your IT department is likely to be doing so, and they don't have a modern relationship with your marketing team, you may face a few struggles down the line. Depending on your business objectives and goals, you may require unique functionality from your website. Perhaps you run an eCommerce store or want to include a booking feature on your home page. It's not uncommon to find features like this available, or easily accessible, in an Open Source CMS like WordPress. Put simply – if your website has functionality on it that is only available with WordPress then stick to it! HubSpot’s recent integration with Shopify has been a game changer and has successfully bridged the gap between online sales and marketing automation. Seamless data syncing between HubSpot and Shopify, product-based segmentation and automated ecommerce activities are just a few of the wins. Your website’s speed is an important factor in ranking high on Google. Not only that but pageload times are critical to a good user experience. Take a look at Yottaa’s results for HubSpot vs other CMSs below. There's an inherently massive gap in security between HubSpot and WordPress. For instance, in July 2015, users of the popular WordPress security plugin, Wordfence, experienced 16 000 attacks per minute. 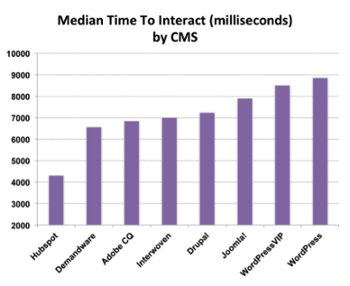 Something as important, and basic, as security can negate all other performance of the CMS but HubSpot’s numbers remain impressive and have held strong for a number of years. Sessions protected with top end in-transit encryption, advanced TLS (1.0, 1.1, and 1.2) protocols, and 2,048-bit keys. This prevents outside parties from gaining access to your data. Proactive customer notifications, which means you'll always be in the know regarding activity on your portal. Operations teams that monitor platform and application behavior 24x7x365 for baked-in security – consider that HubSpot has achieved uptime of 99.99%, and you can see what a difference this makes. Before they reach the front door. Essentially this means stopping attacks before they even have a chance to take effect. Site protection through third-party Distributed Denial of Service (DDoS) services. A DDoS attack prevents you from accessing your own site – HubSpot prevents this by protecting both your website and access to it. If you asked us about our personal choice of CMS, the answer would certainly be HubSpot. We're huge fans of its many features, and as an inbound agency, we've seen the success HubSpot users experience first-hand. HubSpot as an organisation is all about growth. They provide a product suite that is constantly evolving showcasing their growth and assisting their customers with growth too. Their CMS is no different. They have made sure their CMS is quick to load, completely responsive and quick to delight so your customers not only want to return but they are also enjoying a valuable, personalised and sophisticated experience. If that’s not enough for you then pop across to this page to see the HubSpot feature set mapped to WordPress for yourself.